The idea behind Open Data is that Public Sector Information (PSI), or in other words public data and information, should be freely available to everyone to use and republish as they wish, without restrictions from copyright, patents or other mechanisms of control. Hack4Malta will take place on Saturday 29th March 2014 at the Faculty of ICT building at the University of Malta (8:00am to 22:00pm). It is an initiative supported by the EU Med Project, HOMER (Harmonising Open Data in the Mediterranean through better access and Reuse of public sector information) and is being organized by the Local Council’s Association in collaboration with the Faculty of ICT within the University of Malta. Students, IT companies and businesses in general, will have the opportunity to use Open Data datasets and develop new mobile and web applications. It is highly advisable that those who intend to participate in the hackathon also attend the Open Data workshop, which will be held on the 11th of March 2014 at The Palace hotel in Sliema. During this full-day workshop there will be talks from both foreign and local experts in the field of Open Data. Furthermore, individuals that would like to participate as a group, in the Hack4Malta, will have the opportunity to brainstorm and discuss their ideas with mentors and register for the event. There are going to be two separate tracks in Hack4Malta, one intended for teams of IT students, while the other for teams from established developers/companies and professionals. We’re quite intrigued to see which team will rise to the challenge and develop the most innovative application that exploits open data for the good of the community at large. For the developers/companies track the judges will access and award the best idea/application/service. The prize will be a €530 voucher from Recruitcoders. The complete list of Rules and Regulations to participate in Hack4Malta can be found here. All participants will be issued with a participation certificate. For more information and registration please send email to lvasileva@lca.org.mt or register click link below to register. The Hack4Malta hackathon is being organized with the kind cooperation of the University of Malta. We look forward to seeing you at the event! Take a moment to share with your friends. Winners: team TravelMate composed of Nigel Grech, Emmanuel Buttigieg and Matthias Pace, from the University of Malta. 2nd Runner-up: team Tripster composed of Shaun Caruana, Stephen Compagno, Enrico Aquilina and Derrick Agius, from the Institute of ICT, MCAST. 3rd Runner-up: team CODe composed of Jurgen Cassar, Daniel Desira and Christian Bonanno, from the University of Malta. check our Facebook page for pictures of the event. Manager of the University of Malta Business Incubator, Ben is a seasoned technology commercialisation advisor with more than ten years experience helping technology entrepreneurs and researchers around the world prepare for the marketplace and successfully raise public funding and private investment. Ben was a highly-rated technology equities analyst at London-based investment bank, and led spinoﬀ company development at TEC Edmonton, the technology transfer group at the University of Alberta, Canada. He also ran his own technology startup consulting business. Ben holds an MBA (Technology Commercialisation) from the University of Alberta's School of Business. Ben is excited about the launch of the University Business Incubator, to be located later this year in the soon-to-be-vacated Computer Sciences Building in the heart of the university campus. The incubator will be home to a technology spinout and accelerator program designed to enable technology entrepreneurs create high potential, sustainable businesses – taking them from idea to investment and launch. By providing access to business advisers and mentors, training, shared space, professional assistance and capital and other resources, the incubator will close the knowledge and resources gap experienced by early-stage technology entrepreneurs as they embark on their startup (ad)ventures. Jimmy is the local contact person for the HOMER project and one of the main organisers behind the Hack4Malta event. He is the Executive Chairman of the Major Projects Coordinating agency, that is responsible of leading new projects as part of the industrialization drive of the Government. At the moment the Agency is working on the construction and marketing of the Life Science Park in San Gwann, covering an area of about 20,000 square meters. The Life Science Park will house innovative and research facilities as well as other central services. Jimmy was also the Executive Secretary of the Local Council's Association (LCA) and was responsible for a diverse set of activities and initiatives. One such initiative was the full upgrade of the offices facilities with more use of IT in the LCAs communications branch which included new website and the dissemination through a newsletter. Other initiatives included: maximizing the opportunities of EU membership by applying for projects under INTERREG, MED, LIFE, CITIZENSHIP, YOUTHS, and FP7, the strengthening of networks with similar organizations in other countries; the launching of the Leader+ program in Malta, for the first time; the full participation of LCA in the workings of the CLRAE and the CoR; a more aggressive campaign and lobbying to defend the interests of local councils. Another first time initiative was the completion and publication of a comprehensive strategic plan for the Association. During this period, Jimmy also served as the National Coordinator for the Malta delegation at the Committee of the Regions and the Congress of Local & Regional Authorities. In this capacity he participated in the meetings of the national coordinators and has been recognized as an active and responsible participant, making new proposals for improvements. Jimmy was also heavily involved in the discussions on the reform process, preparing detailed submissions to the Government as well as proposing new ideas for the improvement of the Local Councils’ performance. He was also responsible of the creation of excellent relations with the Center of Expertise for Government Reform based in the Council of Europe. Jimmy's main goal during his term as Executive Secretary was to place the LCA on the international scene through a dynamic network of contacts and a credible image as a partner in international projects. 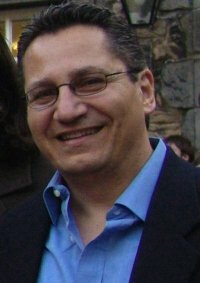 Having spent his formative years at St. Aloysius College, Birkirkara, Peter graduated with First Class Honours in Computer Science from Imperial College London. He began his professional career with the United Nations International Computer Centre (Geneva, Switzerland), and subsequently moved into R&D in the domain of Computer Aided Design (CAD) with Hewlett-Packard (Stuttgart, Germany). He eventually returned to Malta to work for the Management Systems Unit (MSU) in several roles, namely IT Consultant, IT Projects Manager, Quality Manager and Executive Assistant to the Chairman. With this as professional experience, Peter returned to academia to obtain an M.Phil. in Management and a Ph.D. in Information Systems, both from the University of Cambridge. 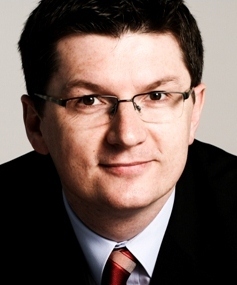 Peter has since served as Technical Director at Netdecisions’ Cambridge Technology Centre; as Technical Account Manager for Europe, Middle-East and Africa (EMEA) with Dassault Systemes; and as Chief Officer Human Capital at MITA. Peter has been the recipient of the Foreign and Commonwealth Office (FCO) Scholarship, the Chevening Scholarship, the Cambridge Commonwealth Trust (CCT) Award and the Overseas Research Students (ORS) Award. He is now Lecturer in the Faculty of ICT at the University of Malta. Conrad currently holds the post of Deputy Director at the Institute of Information and Communication Technology at the Malta College of Arts, Science and Technology. He holds Bachelor of Education and Master Degree in Computing, and Software Engineering from the University of Malta and the University of Hertfordshire. Conrad has been teaching at MCAST for the past 12 years including subjects from Programming, Web Technologies and Linux at various levels ranging from Diplomas to Degree courses. He is heavily involved in various open source projects, with particular interest in the use of Raspberry Pi computers and Arduino microcontrollers in home automation and embedded solutions. Adrian has been involved in the IT industry for over 15 years. He joined Ixaris Systems, a leading international payment solutions provider, as a developer when it was still in its start-up phase. 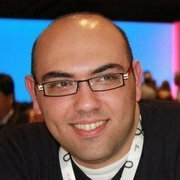 At Ixaris, he currently heads a 60-strong Malta based team of software developers and engineers as the Group CIO. Adrian has responsibility for all aspects of technology, including strategy, infrastructure, business intelligence, software development and support. 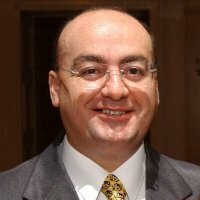 He holds a bachelor's degree in Computer Science and Artificial Intelligence from the University of Malta. Edward joined Microsoft Malta in 2012 as Business Development Manager for the Microsoft Innovation Centre in Malta. He is responsible for the general management of the Centre and for building programs to support the local IT community. The Microsoft Innovation Centre in Malta forms part of over 100 such centers by Microsoft focusing on the needs of the local software economy. Before joining Microsoft, Edward held various positions with the global news organization Thomson Reuters. He was instrumental in designing and executing the regional business development strategy, which included multi-million dollar projects to develop and enhance the company’s products to better serve the regional clients. In this role he worked with clients in various countries across Middle East and Africa. 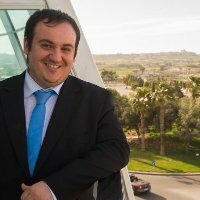 Edward holds a Bachelor Degree in Computer and Communication Engineering from the University of Malta and a Masters in Business Administration from Grenoble Business School. David has led Altaro Software since the company was founded in 2009. Before Altaro, David spent 11 years at GFI Software with the last position being Director of Product Management. At GFI Software he was responsible for the product management of GFI's product lines. Other responsibilities while at GFI Software included market/sales analysis, acquisitions and building OEM relationships with GFI's OEM partners. David joined GFI when it had less than 15 employees and left when GFI Software had over 200 employees worldwide. Simon Azzopardi is an obsessed market strategist with a focus on productization. Having launched, managed and grown multiple software entities in the UK, Channel Islands, North Africa and the Caribbean he has been exposed to the huge opportunities and what to avoid when taking on the global market. Simon is today the Managing Director of tain&able, a product acceleration company based in Malta that helps business grow through productization, digital marketing and product strategies. Simon is a start up enthusiast with a process driven approach to aggressive growth and strategic thinking. A performer in functions of sales and marketing, as well as culture management. Simon Azzopardi has a degree in Business Management from the University of Malta and a Masters in Computing from the University of Oxford Brookes. Based in Malta, Europe, Simon has exposure to various verticals including software, financial services, postal, retail and eCommerce. Ratko Mutavdžić is founder and experience architect at PROJEKTURA, consulting company that work with new and emerging technologies and introduce them to the corporate and enterprise environments. Prior to this one, he spent 15 years Microsoft, starting in a consulting practice and then leading several different sales and technology teams. He is the author of number of published papers on different aspects of the technology, successful blogs on new technologies and project management, and active contributor in a number of social networks exploring the use and advance of new ways to connect and share innovation and invention. He frequently speaks on conferences, meetings, workshops, coffee shops and generally at every place where people like to explore, challenge, investigate, think and innovate. Currently, he is working on a number of Open topics, like Open Innovation, Open Society, Open Cities or Open Government, where he research the methodologies and frameworks on how to deliver more efficient and sustainable ways to introduce concepts of openness into different elements of citizen, organizational and government activities. Same concept is applied to technology, so he is also strong advocate of applying Open Data, Open Software or in general any open technology that, combined with existing technology concepts and platforms can create better economic value for society. 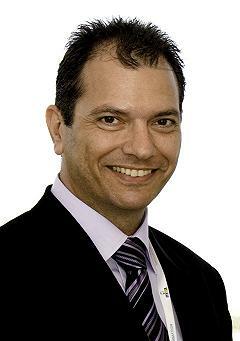 Matthew Sammut is Director and Co-Owner of the Institute of Computer Education Ltd (ICE Malta). The company dates back to 2011. It grew rapidly and has solid relations with worldwide certifications such as Microsoft, CISCO, Adobe, Autodesk amongst others. As business development director, Matthew is responsible of the development of the business strategy for the educational entity, with particular attention to providing a unique study experience. Strategic partnerships and alliances together with constant marketing and brand presence has positioned the institute as a leader in the Maltese islands. Our five year business strategy promises exciting times for ourselves and our islands which are renowned to be a hub of ICT excellence. Matthew is also Director and Co-Owner which was formulated in 2009. The company is proud to have built a portfolio which includes a substantial percentage of Malta's corporate clients, brands and organizations who all have healthy long term working relationship with our design and development team. In some cases this has led to further collaborations including the handling of online marketing and brand development strategies. We are also very proud to have worked with some leading international clients which are a wonderful addition to our ever growing portfolio. This year the company has established a CSR programme as part of their brand's commitment to give back to the community. Charlie Abela has been in the teaching profession for more then 25 years. He has an MSc in Computer Science and is currently reading for a PhD in the area of Personal Information Management. For the last 10 years he has been involved in various research activities related to linked data and open data. He is currently a member of the Intelligent data Management (IDaM) research group within the Faculty of ICT, which is focused on bridging the areas of digital libraries, linked data and big data. Charlie is also a committee member of the KEYSTONE Cost Action that involves research associated with semantic keyword-based search on structured data. Charlie worked as a research assistant within the Digital Enterprise Research Institute in Galway, Ireland. He was also involved in a number of EU projects related to the research topics of Semantic Web, Linked Data and Personal Information Management, including the REWERSE Network of Excellence and the NEPOMUK project. Charlie is also the author of a number of published papers related to these research topics. 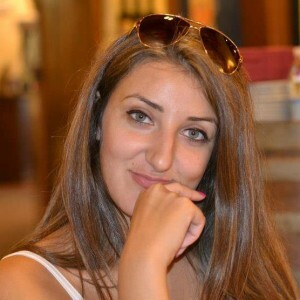 Lili Vasileva is a University of Malta graduate- B.A (Hons) International Relations and M.A International Law. Lili has joined the Local Government Association team in January 2011 where she works as project coordinator and is currently managing eight EU funded projects on various thematics - ICT, innovation, energy efficiency, culture, tourism. One of those project is the HOMER project dealing with open data and financing the Hack4Malta hackathon.